There have been 997 species of plants recorded on Fort Drum. There have been 252 species of birds recorded on Fort Drum. 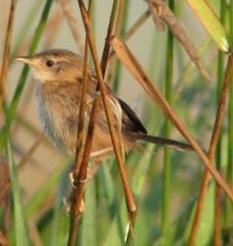 Fort Drum is listed as an Important Bird Area by the New York Audubon Society. 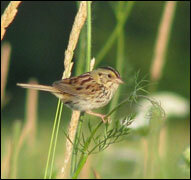 See the NYSDEC web site for more information about the birds of New York State. There have been 49 species of mammals recorded on Fort Drum. See the NYSDEC web site for more information about the mammals of New York State. There have been 12 species of reptiles recorded on Fort Drum. See the Snakes of Fort Drum brochure to learn about the 8 species of snakes on the installation. See the Turtles of Fort Drum brochure to learn about the 4 species of turtles on the installation. See the NYSDEC web site for more information about the reptiles of New York State. There have been 18 species of amphibians recorded on Fort Drum. See the Frogs and Toads of Fort Drum brochure to learn about the 11 species of frogs and toads on the installation. See the NYSDEC web site for more information about the amphibians of New York State. There have been 45 species of fish recorded on Fort Drum. See the NYSDEC web site for more information about the fish of New York State. In general, there have been no comprehensive invertebrate surveys conducted on Fort Drum except for crayfish and mussels. Dragonfly surveys have taken place in 2007 and 2008 as a part of the New York Dragonfly and Damselfly Survey (NYDDS). See the following checklist for dragonflies and damselflies recorded on Fort Drum in 2007. Butterflies have been recorded opportunistically on Fort Drum. To report an interesting or unusual wildlife sighting, please contact Fort Drum's Fish & Wildlife Management Program. Currently there are two federally-listed species on Fort Drum: the federally endangered Indiana Bat (Myotis sodalis) and the federally threatened Northern Long-eared Bat (Myotis septentrionalis). The Indiana bat was listed in 1967 and first documented on Fort Drum in 2006. The Northern Long-eared Bat was classified as federally threatened in 2015. The first 3-year programmatic Biological Assessment and Biological Opinion with the U.S. Fish & Wildlife Service was completed in 2009. Subsequent biological assessments and biological opinions have been completed in 2011 and 2014. There are 36 known state-listed wildlife species on Fort Drum including 6 endangered, 9 threatened, and 21 species of concern. The six NYS endangered species include: Indiana Bat (Myotis sodalis), Golden Eagle (Aquila chrysaetos), Short-eared Owl (Asio flammeus), Black Tern (Chlidonias niger), Peregrine Falcon (Falco peregrinus), and Tomah Mayfly (Siphlonisca aerodromia). The nine NYS threatened species include: Northern Long-eared Bat (Myotis septentionalis), Henslow’s Sparrow (Ammodramus henslowii), Upland Sandpiper (Bartramia longicauda), Northern Harrier (Circus cyaneus), Sedge Wren (Cistothayus platensis), Bald Eagle (Haliaeetus leucocephalus), Least Bittern (Ixobrychus exilis), Pied-billed Grebe (Podilymbus podiceps), and Blanding’s Turtle (Emydoidea blandingii). 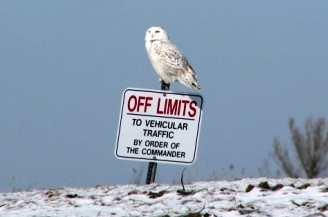 Bird watching or other wildlife viewing is allowed on Fort Drum and normal check-in procedures apply. Fort Drum was featured in an article titled Birding on DoD Lands: Fort Drum, New York in the Jul/Aug 2006 newsletter of the American Birding Association and in an article entitled A Brief Guide to Birding Fort Drum, New York in the December 2006 issue of The Kingbird, a quarterly journal of the New York State Ornithological Association. A birding checklist for Fort Drum entitled Birds of Fort Drum is also available. 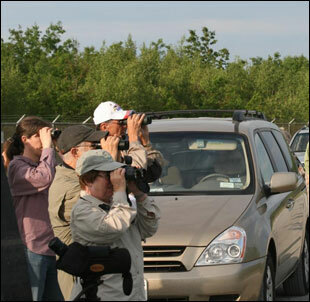 In 2008, Fort Drum began sponsoring birding field trips in the training area in conjunction with World Migratory Bird Day. The field trip is usually held the Saturday of Memorial Day weekend. Pre-registration is required. There are numerous places to view and learn about wildlife in New York State. Below are just a few suggestions where to view wildlife within a two-hour drive of Fort Drum. NYSDEC Region 6 administers 22 Wildlife Management Areas (WMAs) encompassing 43,744 acres in Jefferson, Lewis, St. Lawrence, Oneida, and Herkimer counties. Perch River Wildlife Management Area is the nearest WMA to Fort Drum located approximately 5 miles northwest of the Cantonment Area. The Minna Anthony Common Nature Center is one of the largest nature centers in the NYS park system. The nature center is in Wellesley Island State Park in the middle of the St. Lawrence River approximately 30 miles northwest of Fort Drum off of I-81. There are 8 miles of hiking trails, 7 miles of cross country ski trails, and a particularly good place to see bald eagles in the winter months. Indian Creek Nature Center consists of approximately 320 acres within Upper and Lower Lakes Wildlife Management Area approximately 65 miles northeast of Fort Drum. There are seven miles of hiking trails and several good vantage points from which to see waterfowl and waterbirds on Lower Lake. Derby Hill Bird Observatory sits on a bluff overlooking Lake Ontario approximately 60 miles southwest of Fort Drum and is one of the best spring hawk-watching sites in the United States. Salmon River Fish Hatchery is open to the public during operating hours where salmon can be seen coming up river to spawn and hatchery employees can be seen at work at certain times of the year. The Salmon River Fish Hatchery is located in Altmar, New York approximately 60 miles south of Fort Drum. Beaver Lake Nature Center is part of the Onondaga County Park system. The Nature Center is approximately 80 miles southwest of Fort Drum in Baldwinsville (to the northwest of Syracuse). Carpenter Brook Fish Hatchery is open to the public during operating hours where trout are raised in Elbridge, New York approximately 100 miles south of Fort Drum and west of Syracuse. The Wild Center, the “natural history museum of the Adirondacks” has various exhibits and displays indoors and outdoors. The Wild Center is in Tupper Lake, New York approximately 85 miles east from Fort Drum’s Cantonment Area. Montezuma National Wildlife Refuge is a national refuge in Seneca Falls approximately 130 miles southwest of Fort Drum and west of Syracuse. Below are some other suggestions where to view wildlife in New York State. For a list of other recognized Watchable Wildlife Sites, see the NYSDEC web site for a listing of locations throughout New York State. NYSDEC administers Wildlife Management Areas (WMAs) throughout New York State. Many WMAs include exceptional freshwater wetlands designated as Significant Habitats and/or Important Bird Areas. There are several areas highlighted for wildlife viewing including birds in St. Lawrence County to the north of Fort Drum. Active duty US millitary personnel and family members with proper identification (CAC card or DD Form 1173) are eligible for free permits to enter Federal recreation sites that charge entrance or standard amenity fees.